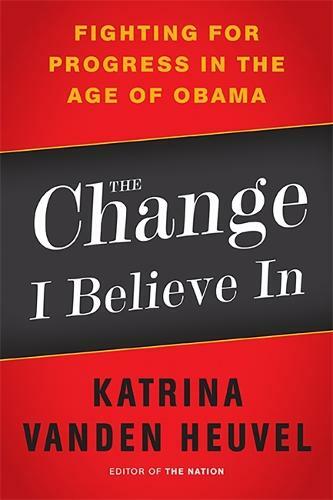 On the night of the 2008 presidential election, Nation editor Katrina vanden Heuvel spoke for many: "For the first time in decades, electoral politics became a vehicle for raising expectations and spreading hope." But, she cautioned, "We progressives need to be as clear-eyed, tough, and pragmatic about Obama as he is about us." Where I Stand collects vanden Heuvel's commentaries and columns from the first years of the Obama administration, an era that has come to be defined by reform and reaction. In the wake of the economic crisis and challenges from the insurgent Tea Party movement, it is clear that it will take more than one election (and one person) to reshape American politics and repair the damage wreaked by a decade of calamitous conservative rule. Vanden Heuvel challenges the limits of our downsized political debate, arguing that timid incrementalism and the forces of money and establishment power that debilitate American politics will be overcome only by independent organizing, strategic creativity, bold ideas, and determined idealism.